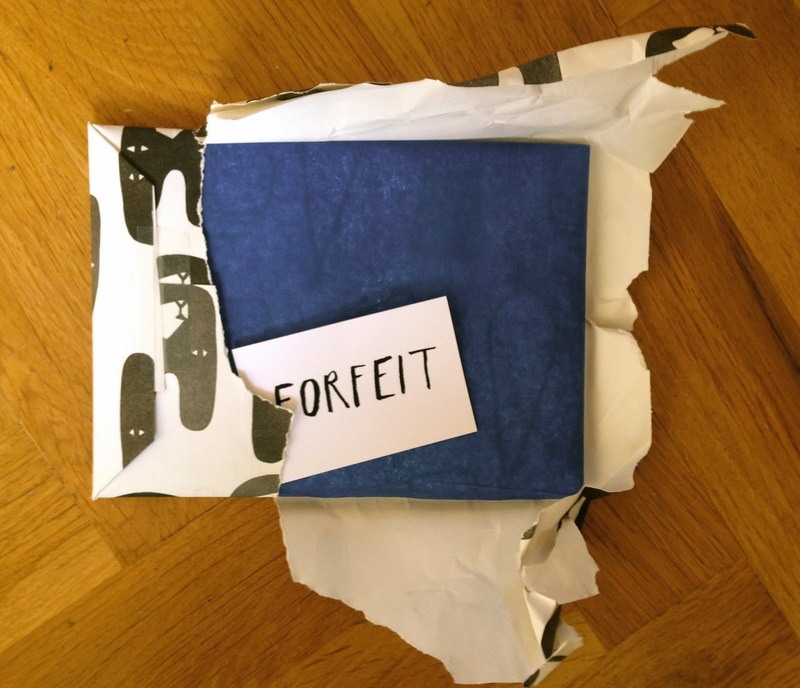 We have recently commissioned the lovely Louise Lockhart from www.theprintedpeanut.co.uk to make us our very own spacial edition pass the parcel game. 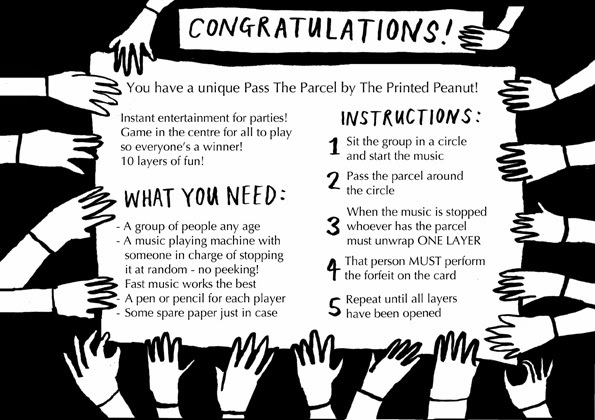 This is a modern version of the fantastic traditional party game - Pass the parcel.There are 10 layers to unwrap, each one with a fun forfeit to do if you land with the parcel in your hands when the music stops. Louise gave me one of her parcels and we played it one evening at a studio get together and it was SO much fun. So this is not only for kids, but adults too! the forfeits are really great, things like draw a moustache on the person to your left…. and name 5 vegetables in 10 seconds. I won't give too many away as I will spoil the surprise! 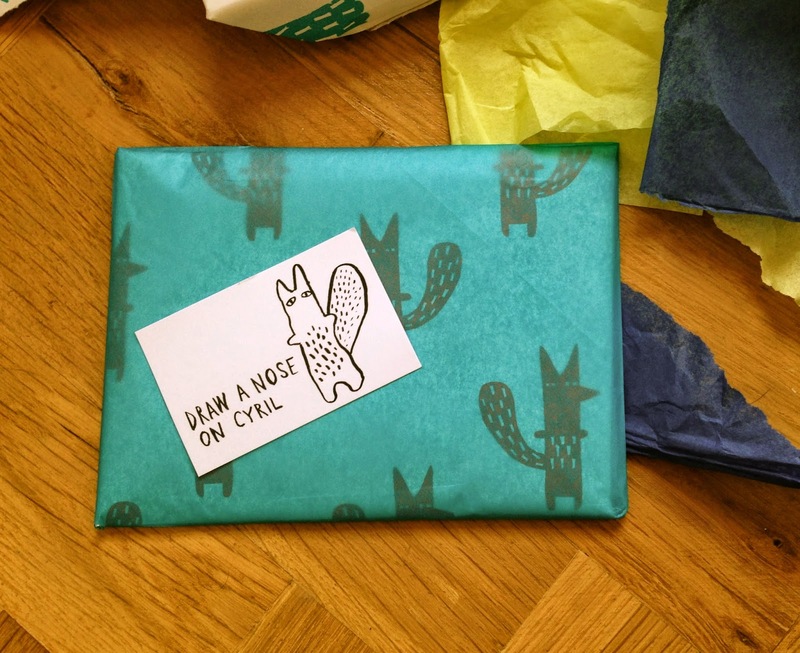 These lovely parcels are available on our website: http://donnawilson.com/510-pass-the-parcel-game.html for £10.00 and I would recommend them to add some fun to any party what ever the age!